HURRICANE – Four-wheel drive enthusiasts will gather Jan. 23-24 for the “Winter 4×4 Jamboree,” an off-road and rock crawling event expected to draw hundreds of participants and combine fun with fundraising for land use organizations. 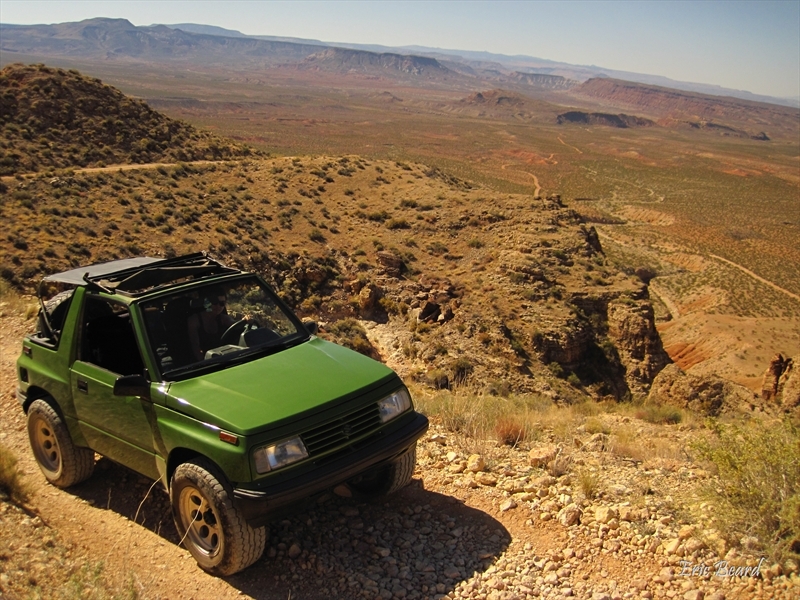 Southern Utah is fast becoming known for its rock-crawling trails, which are as challenging and fun as Moab trails, only a lot closer to town. Many of the Jamboree trails are extreme, but easier trails, suitable for stock vehicles, are also on the schedule. The event offers easy scenic routes for stock vehicles, medium-difficulty trails for modified vehicles, and extreme routes for the hard-core enthusiasts. Both novice and experienced drivers with four-wheel drive vehicles are invited to attend. The Winter 4×4 Jamboree will be headquartered at the Washington County Regional Park, or fairgrounds, 5500 W. 700 South in Hurricane. Activities include trail rides, breakfast and dinner at the fairgrounds, and a fundraising raffle Saturday night of the event weekend. The winter event is sponsored this year by the nonprofit Desert Roads and Trails Society – Desert RATS. All profits will be donated to the Utah Public Lands Alliance and other public land use groups. The Desert Roads and Trails Society is, according to its website, a family-friendly, inclusive community for anyone who enjoys getting out to enjoy Southern Utah and the surrounding areas. Most event trails are located adjacent to Sand Hollow State Park, in the Sand Mountain off-highway vehicle area. The Bureau of Land Management has designated the Sand Mountain area specifically for open travel by off-road vehicles. Most public lands don’t allow this type of use, and Desert RATS encourages all users to be aware of and respect land use restrictions, club president Jeff Bieber Sr. said. This event is not set up for and does not lend itself to spectators. How to register: Online until Jan. 21 at 7 p.m. | In-person at the fairgrounds Jan. 22 from 5-8 p.m. or Jan. 23-24 from 7-8 a.m.